The Cuddy Mountains are located on Idaho’s western border, northwest of Council, Idaho and are managed by the Payette National Forest. Cuddy Mountain at 7,867 feet is the range’s high point. 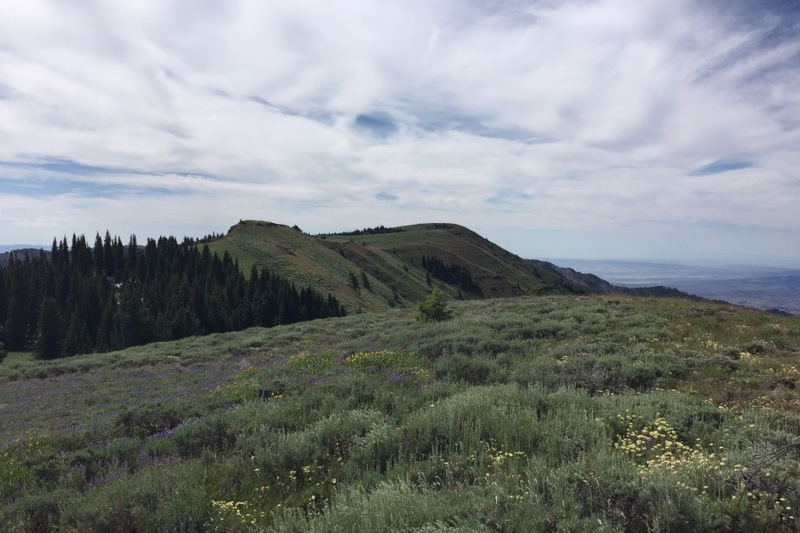 Cuddy Mountain is the 25th most prominent peak in Idaho and it sits atop a high rolling, somewhat uniform mountain plateau chracterized by interpresed meadows and forest. This range was named after John Cuddy an early settler who owned the first flour mill in the Sulubria valley. Cuddy Mountain from Cuddy Point. In the book the Cuddy Mountains are grouped together with the Craig, Seven Devils and Hitt Mountains becuase of their similar geology and similar positions along the Snake River and Idaho’s western border. All four of these ranges have unique features and they are distinct mountain groups. 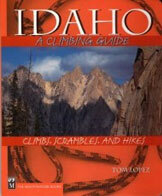 See pages 95-105 to read more about this complicated mountain terrain. 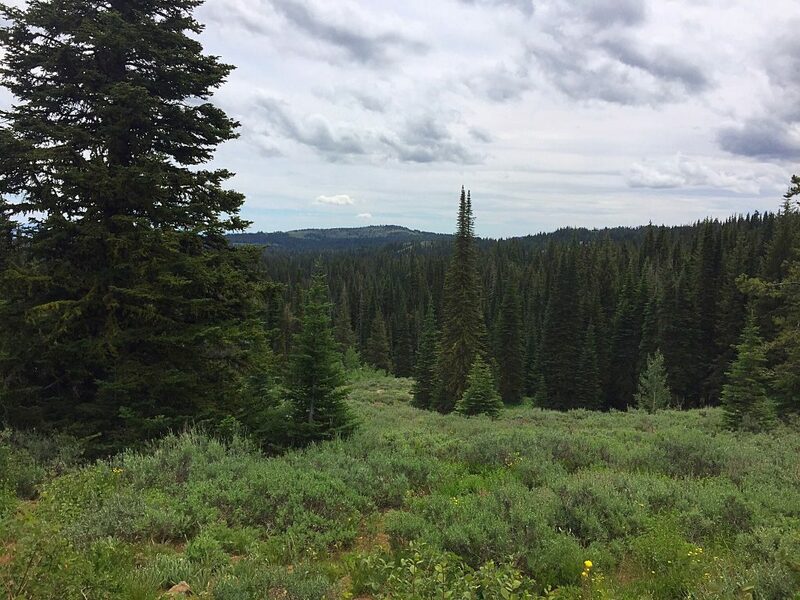 The Cuddy Mountains high country is a mix of forest and meadows. The Cuddy Mountains rise steeply on all sides making access difficult. Only one road leads into the upper reaches of the range and trail access will involve long, steep climbs through thick forests. Once in the upper reaches there are a number of rough roads that provide access to the peaks. The Cuddy Mountains viewed from Sturgill Peak in the Hitt Mountains.